From February 25th to 28th, Barcelona will hold the biggest mobile event globally: the Mobile World Congress 2019. This year, TheTool & PickASO will play its part. Do you want to know how? Keep reading! We will organize, among with PickASO, the first ASO & Beers Meetup in Barcelona. This meeting aims to gather app marketing pros that will be visiting the city during the MWC 2019. Find out all the details! What’s the ASO & Beers Meetup? How does the ASO & Beers Meetup work? Get your ticket for the ASO & Beers Meetup! 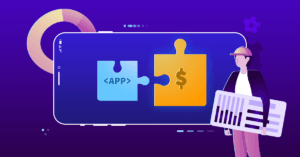 As its name suggests, ASO & Beers Meetup is an informal meeting to talk about App Store Optimization with app marketers while having a drink, and its goal is to share knowledge about ASO. The ASO & Beers Meetup will take place on Monday 25th from 7 pm to 9 pm in mVenturesBCN (Pl. Pau Vila 1 Sector C 2nd floor 08029 Barcelona Spain). The dynamics of the meetup relies on participation from both tweeters and attendees. They will ask ASO pros their doubts about how to maximize their apps’ visibility on App Store and Google Play in order to get more installs. ASO tool specialists from TheTool, and App Store Optimization specialists from PickASO will be in the room with Mobile Growth expert Thomas Petit, and they will answer questions in situ from attendees and virtually from tweeters that use the hashtag #ASOmeetupbcn. Users can already tweet their questions about App Store Optimization until the day of the meetup by using the hashtag #ASOmeetupbcn. On February 25th, during the ASO & Beers meetup, we will answer them in situ and will solve doubts from all the professionals that join us. Sign up now and don’t lose your seat! NOTICE: The ASO & Beers Meetup won’t be streamed online, so if you want to know the answers to the questions… You can’t miss it! 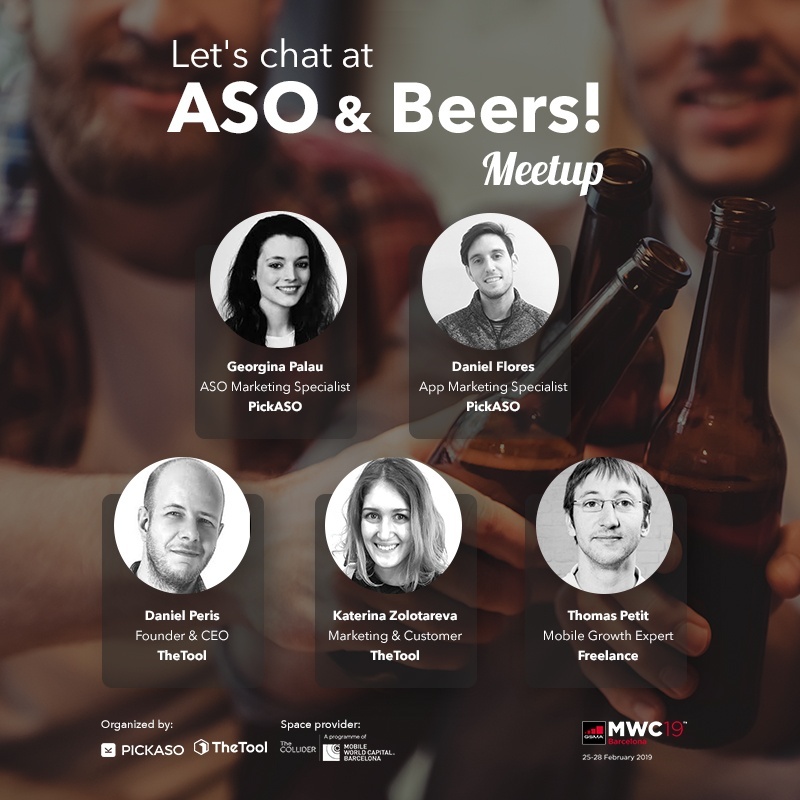 The ASO & Beers Meetup has a limited capacity of 60 people, so request your free ticket and don’t miss it. We’ll send the invitation to you a few days before the meetup if you get selected. Place: mVenturesBcn (Pl. Pau Vila 1 Sector C 2nd floor 08039 Barcelona Spain). We’ll wait for you in the ASO & Beers Meetup on February 25th in mVenturesBcn! Oh great! Good to know.